Spring is here, and it’s the time of year when most car drivers consider maintenance and repair to their vehicles after the winter season. Here in the DC metro area, we experienced some unusually brutal winter weather! 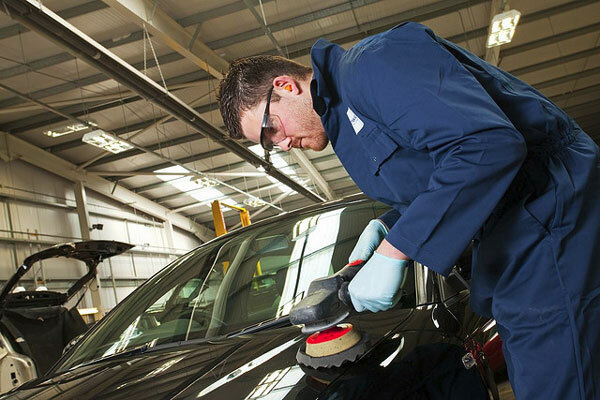 In order to help you get your car back in prime condition, we’ve rounded up some top tips for Car Care Month—always celebrated in April and promoted by the National Car Care Council. 1. Keep your vehicle properly serviced. This includes regular oil changes, properly rotated/aligned/inflated tires, belt replacements, spark plug replacements, system flushes, and HVAC system maintenance, just to name a few. Some vehicle maintenance is easy enough to do yourself whereas some maintenance is better suited to be handled by your local dealership or mechanic. At Tischer Auto, we’ve made it convenient for both Tischer Nissan and Tischer Acura customers to schedule service online and easily check their vehicle’s service history via our Tischer Automotive app. 2. Don’t neglect small items like properly working windshield wiper blades, headlights, and reverse/brake lights. Not only can you be pulled over for something as seemingly trivial as a bulb that’s out, more importantly, such issues can impact your safety and the safety of other drivers on the road. 3. Make efforts to be a greener driver starting today. This doesn’t necessarily mean you have to invest in a new Nissan LEAF or Pathfinder Hybrid. But what you can do are simple things such as lessening the amount of time your car is idling, combining trips and errands so as to save gas, lightening the load your vehicle is carrying, and maintaining your car’s emission system. 4. Check your safety supplies such as a spare tire, jumper cables, and first-aid kit. Also, be sure that you understand how to contact your roadside safety assistance provider in the event of an emergency. 5. Inspect your car’s appearance. Is there a windshield crack that you’ve been meaning to repair? When was the last time you checked for small dings or dents that age your car’s appearance? Once the weather warms, consider showing your car a little TLC. According to the Car Care Council, “frequent washing (once a week) and vehicle polishing (once every 6 months) go a long way toward protecting your investment.” If you’re looking for some recommendations on which products are great for maintaining both the outward and inward appearance of your car consider Mother’s tire care products, Turtle Wax automobile waxes, Armor All interior products, and Pinnacle’s line of leather care products. 6. Talk to your teen driver about being a smarter and safer driver. As the school season is winding down, teens are looking forward to driving out and about with their friends. Share these tips, show them simple maintenance checks, talk to them about driving safety—especially with regard to driving and cellphone use—and what actions to take in the event of an emergency. 7. Use social media. If you love Instagram, check out #MaintenanceMondays on the Car Care Council’s new Instagram account. Also, follow Tischer Auto on Twitter as we tweet more tips throughout the month of April! We want you to experience an awesome spring, and that includes being safe and having a car that’s in tip-top shape for your driving needs. Please remember to utilize these tips and be extra mindful during this special Car Care Month. If you have any questions about how to properly maintain your vehicle, feel free to leave us a question or comment below or reach out to us on Facebook! For most new vehicles, it’s recommended by manufacturers that routine services be performed at standard intervals, which occur at the following mileage marks: 15,000, 30,000, 45,000, and 60,000. In this post, we’re going to give you a brief outline of what to expect and a checklist of areas for each milestone. By its very nature, vehicle maintenance is a necessary evil, but by following the outlines and checklists below, you can easily keep track of your vehicle’s major maintenance items. Regular maintenance will ensure that your vehicle remains as problem-free as possible and help it to retain an appropriate resale value. This will be your first major service and should come at about 15,000 miles, which typically occurs within or close to the first year anniversary of purchasing your vehicle. Given the young life of your car and its components, it’s a relatively basic procedure. Expect to have the engine oil and oil filter changed, along with the engine air filter and the in-cabin air filter. A new engine air filter will ensure optimal gas mileage and keep engine contaminants to a minimum, while a new in-cabin air filter will keep your car’s interior dust and contaminant free. Wiper blades should also be inspected at this point, especially if winter is approaching, and replaced as needed. Understanding all of the items in your 15,000-mile service is important, because this process will be repeated at all major service intervals. In addition to the items replaced at your 15,000-mile service, a new fuel filter will be needed to keep your engine running smooth. Engine coolant will also be changed at this time to ensure that your car’s engine does not overheat, and power steering and transmission fluids should be flushed out and replaced. These fluids break down over time and lose their effectiveness; for the average commuter, these fluids will have been in use for roughly two years. This service should be repeated every 30,000 miles to keep your car in good health. Your vehicle’s 45,000-mile service will include its commonly changed maintenance items (such as an oil and oil filter change), but will additionally focus on the service of the car’s ignition system. Spark plugs are key engine components that need to be replaced after three years or 45,000 miles. Worn-out spark plugs can cause misfires and dead cylinders, which seriously harm the performance and lifespan of an engine. A new ignition management system, which runs the spark plugs, should also be fitted to ensure that the entire ignition system is functioning normally. Brake fluid should also be changed after 45,000 miles or three years, as it absorbs water over time and thickens, losing its efficiency. Brake pads need to be checked and replaced as needed, especially for drivers who spend a significant amount of time in stop-and-go traffic. This service should be repeated every 45,000 miles to ensure maximum engine health and brake use. 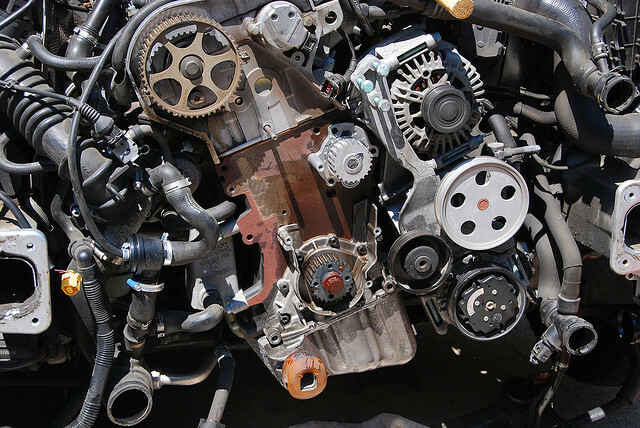 At 60,000 miles, the 30,000-mile service should be repeated with one additional replacement – the timing belt. The timing belt runs critical internal engine components (specifically cams and valves) and can cause serious damage to the engine if it breaks, so be careful not to overlook this easy-to-miss item. Due to its age and constant use, the car’s battery will probably be losing its charge by now and should also be replaced to avoid future start-up troubles. Repeat this service every 60,000 miles, and at 75,000 miles, repeat your initial 15,000-mile service. Whether you decide to have your vehicle serviced with the dealership service center or at a local repair shop, the important thing to remember is that each milestone service must be done to ensure your vehicle is running its best. Let us know what you think or if you have any questions in the section below. We always appreciate your feedback! 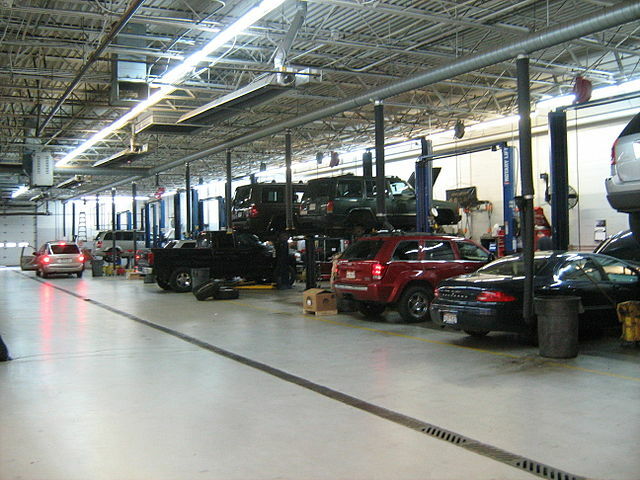 In our last post, we talked about the advantages of servicing your vehicle at the dealership service center. In this post we’re going to cover the flip side of the coin – servicing with your local repair shop. Just as there were advantages to working with the dealership where you bought the vehicle, there are also advantages to shopping around or working with a local repair shop that you know and trust. One of the biggest advantages of servicing your vehicle with a local repair shop is that a level of trust may already exist! Chances are, the vehicle in need of service is not your first and over the course of your vehicle ownership history, you probably have had to seek service that was outside of a dealership. If you already have a mechanic that you know and trust, it may be to your advantage to continue have your vehicle serviced at that shop. Aside from the obvious factors of knowing you can accept their diagnostics and evaluations, there is also the possibility of loyalty discount programs offered by repair shop. With the economy being what it is, more and more local business are rewarding repeat and loyal customers who continue to solicit their services. Along those same lines, more and more business are turning to Groupon, LivingSocial and other retail-incentive websites to attract customers to them and, as a customer (loyal or otherwise) you can also take advantage of those deals. Most dealerships are not in the habit of discounting their services to the general public. Another advantage of local repairs shops is the “local” part. Repair shops are often more conveniently located than dealerships. There may be dozens of small shops to choose from between your home and the dealership. If the repair or service that you need isn’t major, it’s a lot more convenient to drive a short way to your neighborhood repair shop than it is to go to the dealership, especially if you need to leave your car for repairs. Plus, if your vehicle does need repair, there is a good chance that you will have a variety of parts options to choose from, whereas dealerships only offer customers original equipment parts for repairs. In most cases parts will have to be ordered, so the local repair shop fulfillment department spends extra time looking around for the best price and most practical parts to cover the repair. For performance-oriented car owners looking to do aftermarket work to their vehicles, local repair shops provide a unique advantage in that some of them will modify your vehicle to your specifications and install parts that you purchased on your own. Most dealerships will not risk installing aftermarket products that are not backed by the manufacturer, simply because they need to cover themselves in case of potential damage or injury as a result of installing the aftermarket part. Finally, labor costs for local repair shops tend to run on the cheaper side since most mechanics at dealerships have had specialized training. That specialized training is provided by the manufacturer and is often very expensive and that expense is usually passed on to the consumers in the cost of labor. In fact, it could run you $15-$20 per hour more than at a local shop. Well, there you have it – we’ve given you both sides of the coin in regard to servicing your vehicle. The choice is really up to you, as the vehicle owner, how and where you have the vehicle serviced. Have you used the same mechanic for all of your vehicle repairs? Have some past experience, positive or negative, about dealing with a local repair shop? Let us know in the comments section below. We love to hear your feedback!